"The variety of job roles and opportunity to travel have kept my career as a Signals Officer both interesting and rewarding." 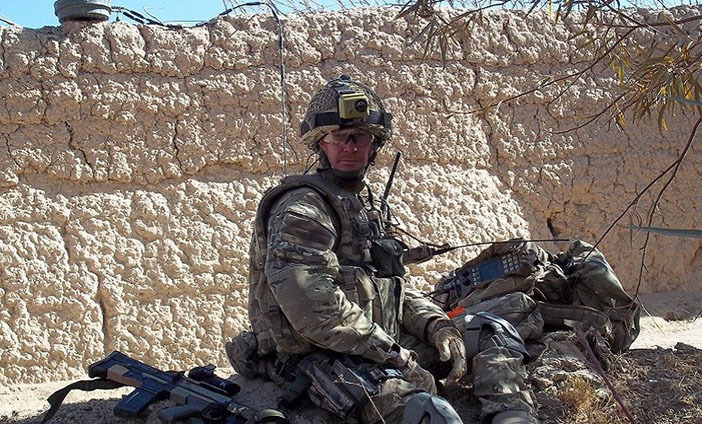 Royal Signals officers lead and motivate specialist soldiers responsible for the Army's communication systems. You'll help to set up headquarters on operations, designing and establishing the communications networks that run through them and out across the battle space. Or you could find yourself coordinating electronic warfare attacks on enemy communications networks, or protecting friendly networks from cyber attacks. Your soldiers are amongst the most qualified in the Army and you will be expected to lead them in the field, in barracks and on adventurous training. Access continued professional development throughout your entire career, including Chartered Status. Get command responsibility early on - you can expect your first Command to be 40 soldiers or more. Work independently and think on your feet. Provide communications for British Army formations and links to other nations and governmental organisations. You’ll start your career on the 44-week Commissioning Course at the Royal Military Academy Sandhurst. This is for all officer cadets, regardless of the Corps that they’re hoping to join. QUALIFICATIONS: 72 UCAS points and 35 ALIS points at GCSE (including at least grade C/4 in English, Maths and a science / foreign language). Troop Commanders Course equates to 2/3 of BSc Communication Management (further distance learning required). MSc / MEng opportunities Chartered Practitioner in IT Funded membership of professional bodies (IET/BCS). "Wherever the Army is deployed, Royal Signals capability is required to enable Command & Control (C2) by higher formations. This has meant that my career to date has involved extensive global travel to enable Commanders at all levels to operate. Facing an uncertain future, one thing is guaranteed; communications and cyber warfare are key aspects of national defence and the Royal Signals will remain the UKs key military player in this domain. I dedicate a significant proportion of my working year to professional development to ensure I am technically capable of meeting this challenge." You’ll need to pass the Army Reserve Commissioning Course at the Royal Military Academy Sandhurst. You can complete this in modules or in one go – depending on your circumstances. Troop Commanders Course equates to 2/3 of BSc Communication Management (further distance learning required). Funded membership of professional bodies (IET/BCS). "Being a Reserve Officer is fantastic. It has allowed me to grow and develop alongside my chosen career and university commitments. The most exciting part of my job has been my recent mobilisation to the Afghanistan National Army Officers’ Academy in Kabul where I have been working as a Female Platoon Commander. The diversity of roles that you can complete is also one of the many exciting things about this role. Recently I have; won the Lanyard Trophy, instructed on the Corps Ski Camp and taken up my current role as the Operations Officer within 43 Signal Squadron."